It’s been a busy time for Executive Chef Nic Philip of Hotel Indigo Bali Seminyak Beach. Since taking up the role about a year ago, he’s found himself in the kitchen a lot, either working on new dishes, making the classic ones more flavourful, or finding interesting produce to work with. At the Hotel, the task might depend on which of the six restaurants he’s running we want to talk about. From a recent interview with Eat Vacation, it’s easy to tell that Chef Nic has never been far from the kitchen since he was much younger. 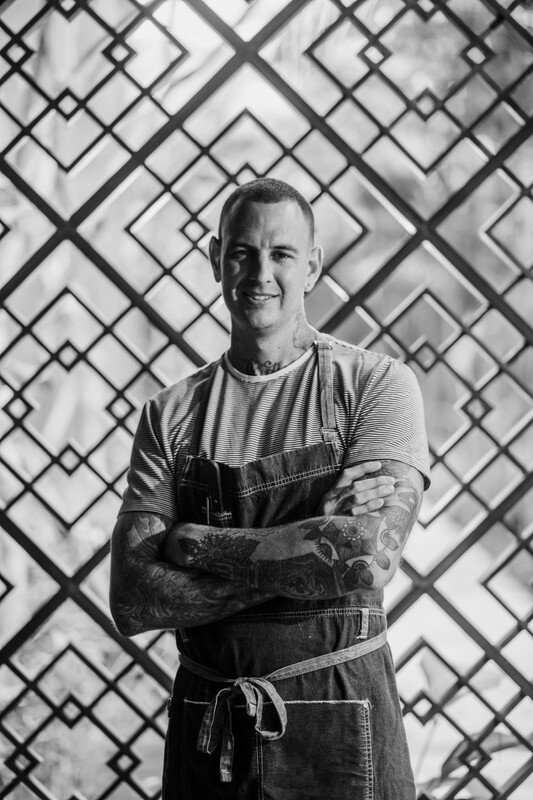 Though born in Melbourne, Chef Nic grew up in the Gold Coast, where home also meant vegetable gardens that perhaps gave way to his fondness of produce. 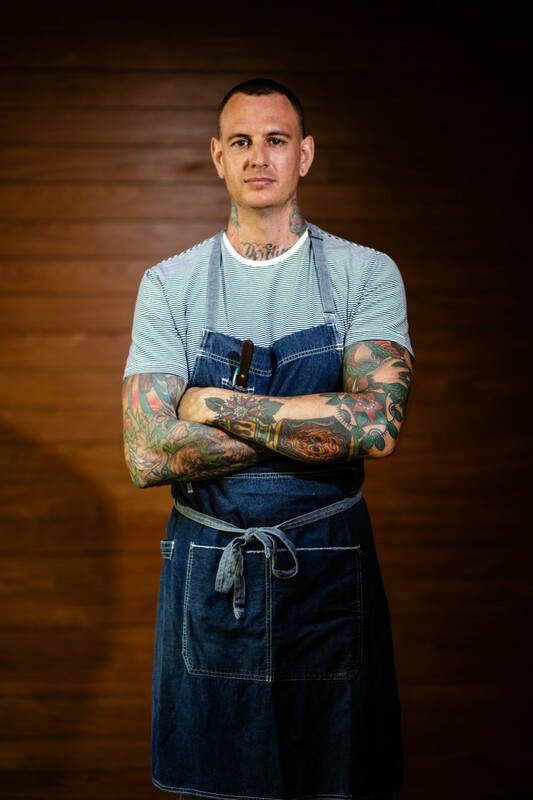 “I was always just sort of cooking, helping Mum out in the kitchen at home,” Chef Nic said, adding that he began his culinary career just shortly after coming out of high school. 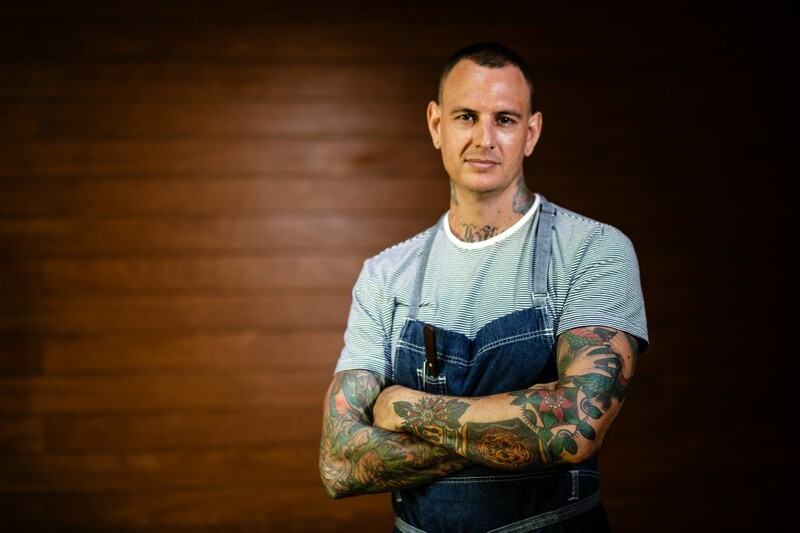 Chef Nic Philip was born in Melbourne, but grew up in the Gold Coast. Always fond of the beach, he says Bali’s beaches also reminds him of home. 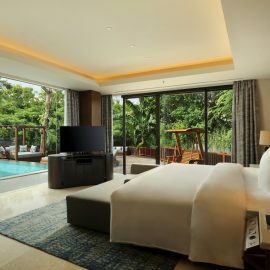 Recreating that in a more upscale production such as Hotel Indigo Bali Seminyak Beach might not be easy, but Chef Nic tries to do it where he can. With Salon Bali, for example, he makes sure to work with as much organic stuff as possible. He also visits farms to see what’s growing for himself, and what produce could be used for his own restaurants. “That’s one of the things that chefs don’t do enough of these days – it’s like going to the farms and just seeing so that they know where it’s coming from.” Chef Nic said. He emphasised that this aspect is growing in even more importance now with the trend of sustainability, as it’s expected of chefs to be aware of the ingredients he’s working with and more importantly, where they are sourced. 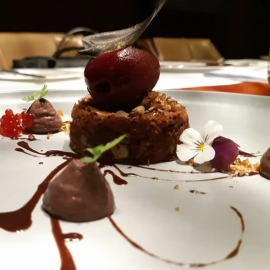 Chef Nic has an extensive list of experience in the world of luxury resorts, whether within the Asia Pacific region or at celebrated European dining destinations. 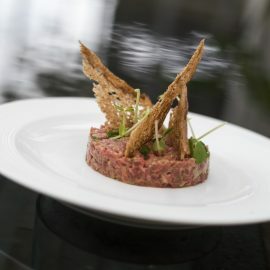 This includes London’s Michelin Star Cove Club and Copenhagen’s famed Restaurant Taller. “Because if you’re getting something and the quality of it is not good, no matter what you do to it, you’re just going to waste your time. And so you know, start with something that’s great and whatever you make with it, it’s going to be just as good,” Chef Nic added. He is inspired by new ingredients, and whenever he’s working on new dishes he will be trying to find something unique in the market and to discover what’s in season as well. With Makase, Hotel Indigo Bali Seminyak Beach’s all-day dining restaurant, he’s trying to keep the restaurant’s classic style but focusing more on the flavour of the dishes. 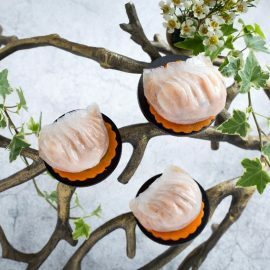 “…sort of going back to classic techniques, but a bit more modern, I guess [while] keeping it very approachable, and sort of simple, flavoursome,” Chef Nic explained. Meanwhile, with Salon Bali – Hotel Indigo Bali Seminyak Beach’s signature restaurant – Chef Nic and his team does a monthly Purnama Dinner, which usually involves creating a lot of new dishes on a regular basis – an aspect that he says help keep his team motivated. Chef Nic Philip said he tries to jump into different kitchens, doing a bit of stage, whenever he’s travelling. Throughout his career, Chef Nic’s travels have provided him windows to pop into different kitchens and do staging for a little bit. In the culinary world, this means working in a new kitchen for a brief time period, and being exposed to new techniques and cuisines, and learning from different culinary masters. When asked of a favourite memory, Chef Nic fondly recalled some of his stagiaire moments, and how he got to work with different products from different countries. He therefore emphasised on how young chefs should always try to embark on these types of experiences whenever they are on a holiday, to always keep their game mode on while discovering new stuff along the way. “Never stop learning, never stop asking questions,” Chef Nic said, adding that jumping into kitchens is definitely one of the best ways to do that. 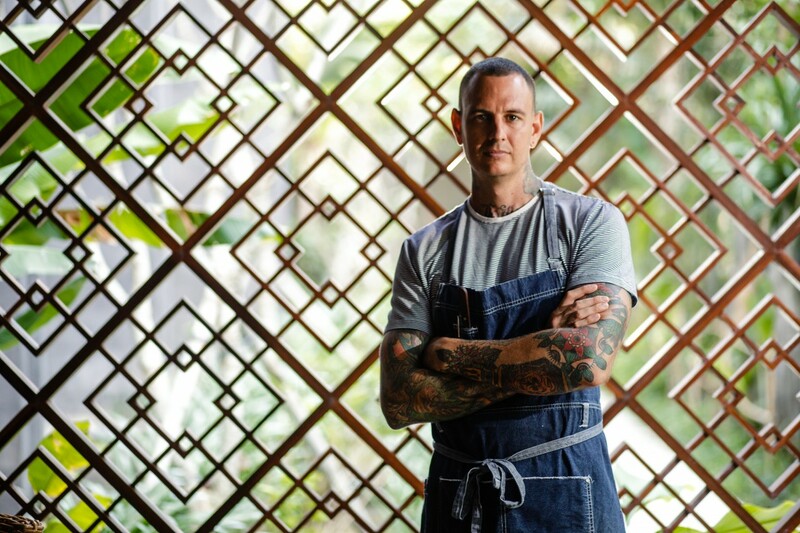 Chef Nic’s style certainly involves a lot of inventiveness that might be hard to predict but always enticing to the senses, and there seems to be a lot more where that came from coming right up at the Hotel Indigo Bali Seminyak Beach.